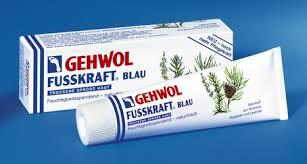 Our product of the month picked by Donna is Gehwol Blue for Dry Rough Skin. With Sandal weather just around the corner, pamper your feet with this naturally nourishing cream with lipids such as lanolin and aloe for dry rough skin. Winter can be harsh on our feet and Gehwol for Dry Rough Skin will restore elasticity, suppleness and smoothness. Combine this take home dry skin remedy with a Strands Salon and Spa Pedicure and your feet will thank you!